After a week of getting settled in and preparing for this upcoming semester, I was able to got outside and explore a bit. 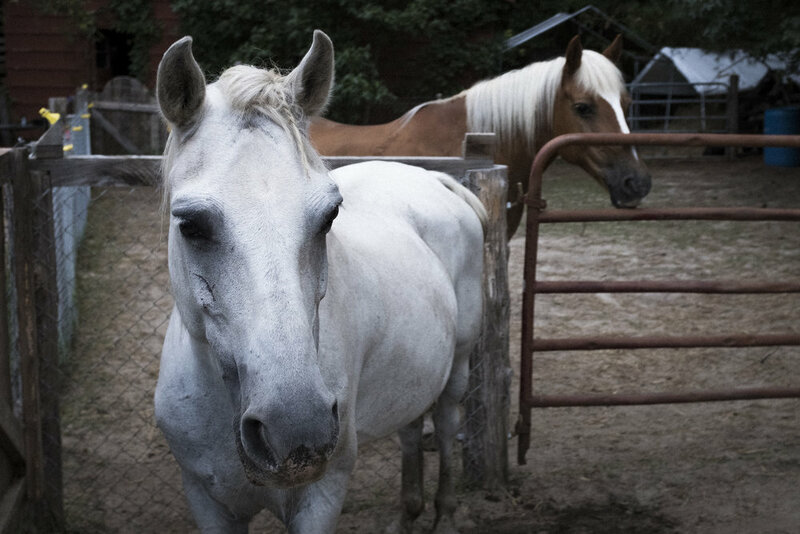 After some research, I found out about @HuxFamilyFarm and their horsemanship clinics that are meant to help participants relax, have fun, and learn new skills. It was awesome to be at this event and learn more about these amazing animals while also being able to photograph them. Huge shoutout to horses Dapple and Gryffindor as well as Hux Family Farm for allowing me into this space. It was an interesting ending to my first day at UNC. Students took matters into their own hands after years of trying to remove the Silent Sam confederate statue from their campus. The controversial statue was toppled over this afternoon by a group of about 250 protesters. Police were quick to cordon-off the statue and cover it while they awaited for removal workers to arrive. The workers spent about an hour trying to figure out how they were going to load it onto the truck. 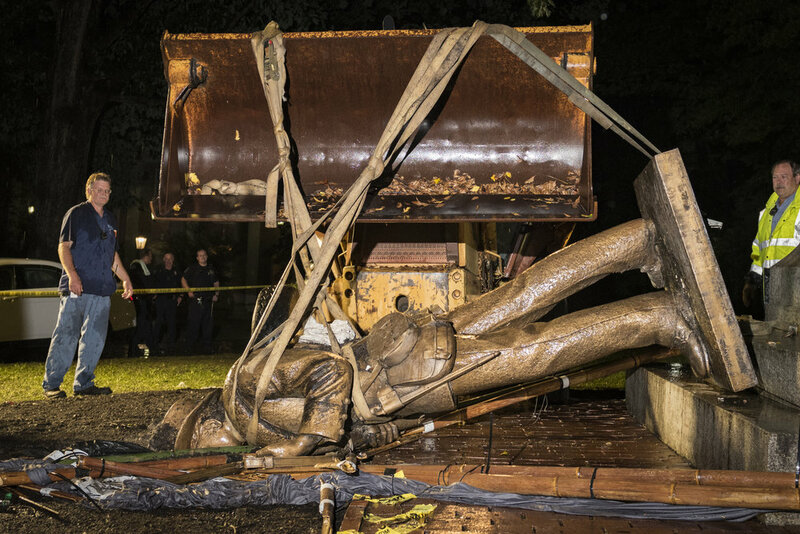 Once they were able to load, they packed up Silent Sam and drove off. It was interesting to see the various reactions throughout the night as well as the various students that stayed up until 1:30AM to witness that night's events. "If you start messing with cars, you'll probably end up racing," said Jeff Smith as he started dialing his car for the first race of the day. Smith, a 71-year-old retired mechanic, has been drag racing with Classic Gear Jammers since 1993 and he still has a need for speed. This past June, he beat out 105 cars to win the 2018 Clemmons Concrete Stick Shift Nationals and $5,000. He races with a 1963 Corvette that he found at a junk yard. It was in such bad shape, that he got it for free. He spent about a year working on it, including building the motor from scratch, and has been racing with it for the past three years... Thank you to Classic Gear Jammers, JR Dunbar, and Jeff Smith for letting me hang out yesterday. It was a great time!